Although employers’ obligation to provide breaks for nursing mothers is not new (it took effect with the March 23, 2010, signing of the Affordable Care Act (ACA)), I’ve recently been presented with many questions about what the law requires. From the questions, I’ve realized two things: (1) Employers still do not know their legal obligations, and (2) employers want to assist nursing mothers in returning to work (and then some). As a mother of two, I find I am able to assist employers by having both knowledge of the law and firsthand experience as a mother who expressed milk at work. 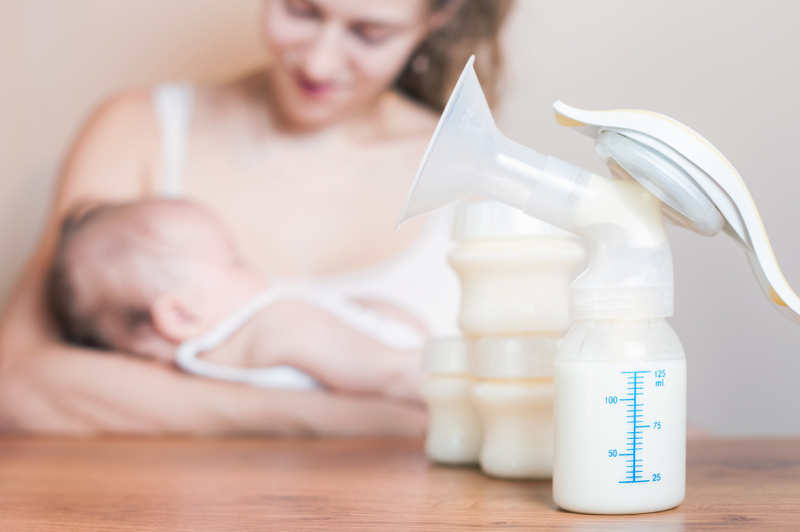 Employers with 50 or more employees must provide reasonable breaks for employees to express milk for nursing children each time they have a need to do so. Employers with fewer than 50 employees are exempt from the requirement if they can demonstrate that compliance would impose an undue hardship—i.e., difficulty or expense when compared to the size, financial resources, nature, and structure of the business. Because this provision of the ACA amends the Fair Labor Standards Act (FLSA), the law applies only to mothers who work in nonexempt jobs—i.e., employees who are entitled to overtime pay. Mothers who are exempt from overtime are not covered by the law. Also, the law covers only mothers expressing milk for a baby under one. The law leaves many questions regarding the frequency and duration of breaks unanswered. That’s because the frequency of breaks likely will be determined by the mother and other circumstances, such as the baby’s feeding schedule, which is affected by age and nutritional intake. The U.S. Department of Labor (DOL) suggests that two to three breaks during an eight-hour shift would typically be sufficient. The duration of breaks will be based on factors such as the employee’s distance from the break location, setup time, how much time the employee spends expressing milk, and cleanup time. The DOL suggests that a nursing mother will normally need about 15 to 20 minutes to express milk. Employers should remember that the time spent expressing milk can vary based on whether a baby is an aggressive or lazy eater, which affects pumping times. Breaks may be unpaid. An employer is not obligated to pay for breaks unless it provides paid breaks to other employees. If it does and an employee chooses to use her compensated breaks to express milk, she must be compensated in the same way other employees are compensated for breaks. Keep in mind that the FLSA requires that an employee be completely relieved from duty or the time must be compensated. Therefore, if an employee continues to work while she expresses milk, the time is not break time, and she must be compensated. Employers are not required to create a separate space for nursing mothers. However, employers must provide a place (other than a bathroom) that is shielded from view and free from intrusion by coworkers and the public that employees may use to express milk. If the space is not dedicated for expressing milk, the employer must ensure that it is available for use when needed to comply with the statutory requirement. Some examples of possible private spaces include a room connected to a restroom (such as a lounge), an empty/unused office, a conference room, or a storage space. To ensure that the space temporarily converted or created for a nursing mother to express milk is private, the room should be able to be locked from the inside and have windows that can be covered. I would be remiss if I failed to mention potential mishaps in selecting a proper space. I have heard of several instances in which people (in my examples, all men) have walked in or were thwarted by a locked door from walking in on women trying to express milk privately at work. I note this because in all of the cases, there was a “Do Not Disturb” sign prominently displayed when the doorknobs were grasped, which demonstrates the need for a lock to secure privacy. On another note, people in high-rise buildings should also be considerate of innocent window washers dangling from dangerous heights and the obvious shock they might experience upon encountering a breastfeeding mother’s private moment. Lower those blinds, ladies. Again, a true-story account of what can happen. An ideal private space would be equipped with an electrical outlet and comfortable seating, and be near a source of water for cleaning the pump and other equipment. Although a refrigerator is not required, employers must provide a space for the mother to store her cooler for expressed milk. A “wellness” or sick room may not be an appropriate option unless it’s thoroughly cleaned to prevent contamination of the expressed milk. Employers should develop a lactation policy after considering the unique characteristics of the workforce and the worksite in which it will be implemented. The policy should include information on how the employee may request an accommodation, describe employees’ rights under the law, provide details on using the lactation room, and discuss whether breaks will be compensated or whether the employee will be allowed to make up uncompensated time used to express milk. The policy should be included in the employee handbook. After being implemented, it should be distributed to all known currently nursing employees and communicated immediately to all supervisors. To ensure employees are aware of it, the policy should be distributed with any maternity leave or leave of absence policies given to pregnant women. As with other workplace accommodations, it’s best for employers to maintain an open and interactive dialogue with nursing mothers. Work through the employee’s request together. The reasonableness in frequency and duration of break times should be determined on an individual basis. Employers also should be aware that because lactation is a pregnancy- related medical condition, less favorable treatment of a lactating employee may raise an inference of unlawful discrimination under Title VII of the Civil Rights Act of 1964. Also, breaks to express milk cannot be considered leave under the Family and Medical Leave Act (FMLA) or counted against an employee’s FMLA leave entitlement. When in doubt, contact a lawyer for assistance. Jodi R. Bohr, an attorney with Gallagher & Kennedy, P.A., practices employment and labor law, with an emphasis on litigation, class actions, and HR matters, and is a frequent speaker on a wide range of employment law topics. She may be contacted at jodi.bohr@gknet.com.